Keep a complete record of your communications thanks to Reach, a sort of call and message history for your mobile phone. You can also look up contacts, check future events, carry out searches... and even answer calls and messages. All the latter from your PC by means of the product's web page. Check your activity from a single place: all your calls, messages and contacts put together. Call and send messages from your browser. 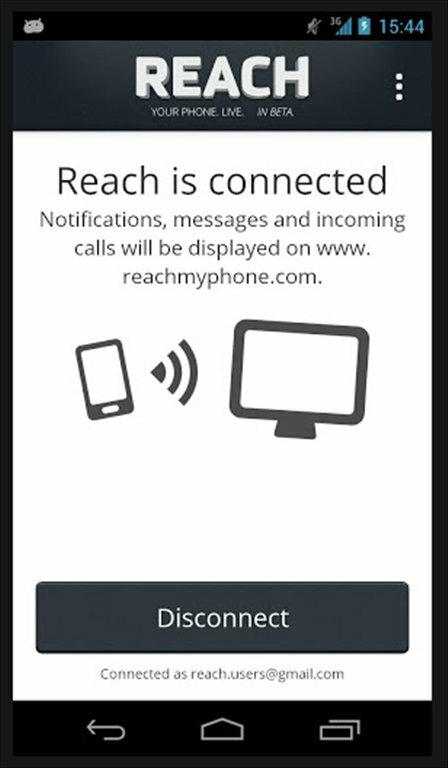 Receive notifications of calls and messages, and answer the latter without even touching your phone. 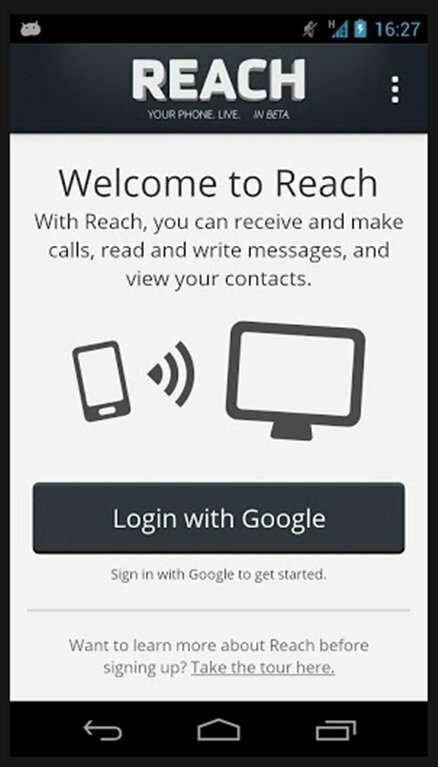 Reach works as a remote control for your phone. Apart from the application, you need to install an add-on on the browser of your PC that will allow you to see the data stored on the cloud and receive notifications on your Windows or Mac OS desktop. 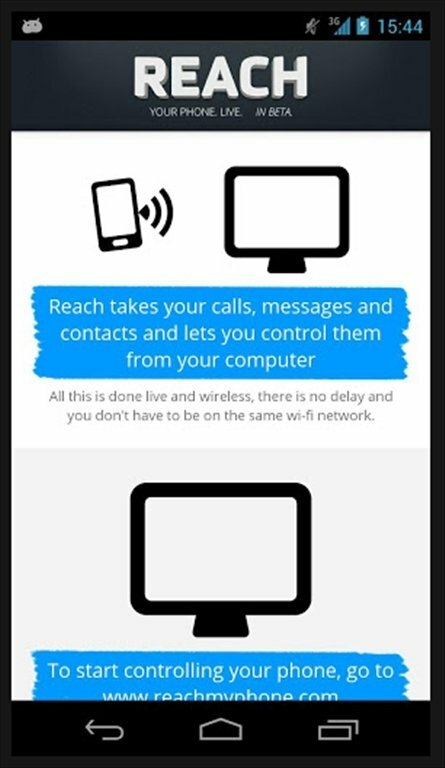 Synchronise everything that happens on your mobile with your PC and don't take your hands off your keyboard ever again.